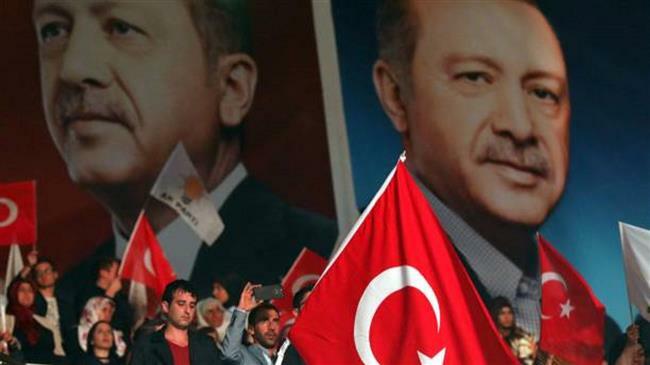 Ankara((ANN)-President Recep Tayyip Erdogan’s election rally outside Turkey is causing fresh controversy as he takes his campaign message to Turks in the Balkans after several EU countries banned such activities. The whirlwind campaigner is about to hold a rally in Sarajevo on Sunday and around 20,000 people are expected to attend it in the Bosnian capital’s largest sports venue Zetra. Unlike the European Union countries, Bosnia is viewed as a friendly territory whose leader Bakir Izetbegovic attended the marriage of Erdogan’s daughter in 2016. “We will show that he (Erdogan) has friends and that there are those who are proud of him,” Izetbegovic, the Muslim member of Bosnia’s tripartite presidency, told his supporters last week. A Facebook group of Sarajevans called on citizens of Bosnia to raise their voice against the visit which they see as an expression of “neo-Ottomanism”, recalling the years when the Balkans was ruled by the Ottomans for more than four centuries until 1878. Bosnian Serb leader Milord Dodik voiced regret that the Turkish leader was “interfering a lot” in Bosnia’s affairs. On Saturday, state-run Anadolu Agency said the Turkish diaspora and Western intelligence had warned of an assassination attempt against Erdogan during his visit to Bosnia. But Erdogan’s rally on the EU backyards may draw a negative reaction from other Europeans, most likely from Germany. The Turkish leader’s supporters were expected to arrive from the whole Europe, including Germany, Austria, Belgium, Scandinavia, the Netherlands Switzerland, Italy or Hungary. Europe is home to some three million Turks eligible to vote in Turkish elections, including 1.4 million in Germany. The expatriate European vote is generally a source of support for Erdogan’s AK party and officials are keen to rouse a strong turnout in Europe. But the Europeans generally view him as someone who is apt to rock the boat after seeing relations nosedive to a nadir over a series of issues. “If you push a finger in the eye with such a rally to a friend like this (Germany) there will certainly be consequences,” Salko Sokolovic, a former party member who broke ranks with Izetbegovic’s SDA party, told Agence France-Presse.